Born in the Western Sydney suburb of Auburn, Shelley-May spent her early youth navigating the turbulent waters of the cities darker side. Surrounded by a neighbourhood, high on drugs and petty crime, Shelley-May found comfort and distraction in music, losing herself to the sounds of Joan Baez, Portishead, Pearl Jam, Muse and Radiohead. Her mother Jane fostered a healthy love of the Woodstock sound, with Hendrix and Janice Joplin, as well as Tom Waits, Tina Turner and Aretha Franklin beginning what has gone on to become a lifetime obsession with voices. While she describes herself as coming from a non-musical background, Shelley-May endeavoured to develop her own voice, with hours spent listening to cassettes of her favourite singers. Ultimately, it’s evident in Shelley-May’s vocal and song-writing expression that this was not a time that went wasted. With a voice that takes you on a voyage ranging from the sweet, trill sounds of Dolly Parton; to a powerful, lustful outcry, reminiscent of a Joplin record, Shelley-May’s own crafted voice has become her signature mark. By 2010, Shelley-May had begun to develop her own lyrical style and expression and started to teach herself to play the guitar. Over the coming years Shelley-May began to take to the stage in support slots for her friends and fellow musicians around Wollongong, including Steve Smyth, Benjalu, Nicole Brophy and Dos Enos. 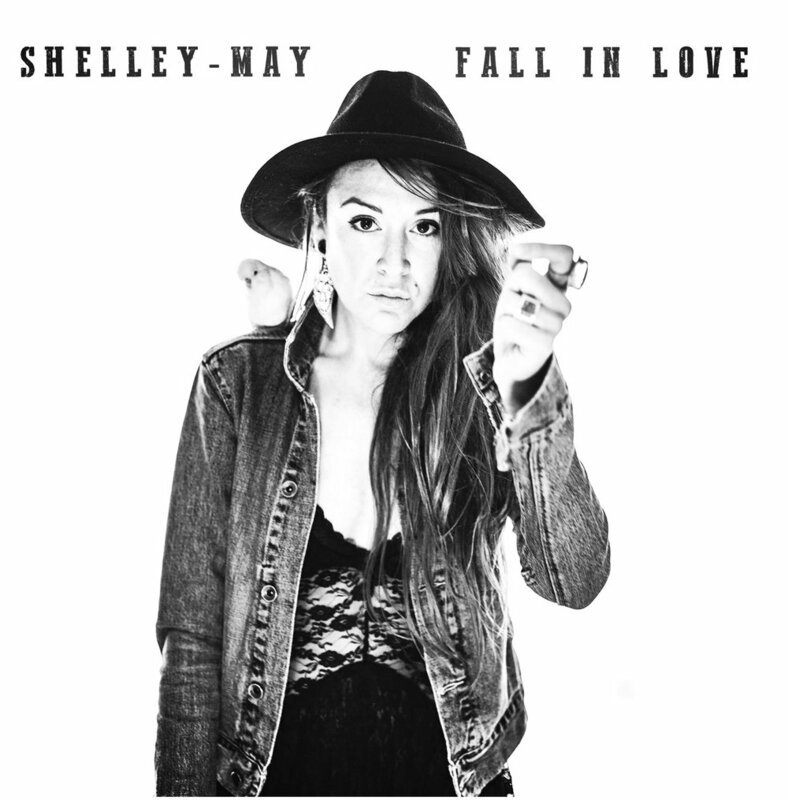 “Fall In Love” is a diverse musical experience, with warm, sultry tones and delicate musings through to raw, brutal emotional assault; or as Shelley-May casually refers to as ‘The odd murder ballad’. Whilst many a singer can lull a crowd with a sweet song; few can silence them. Shelley-May possess that rare quality of taking over an audience with her super-charged, emotional delivery. Her slight figure deceives the power of her songs, with a mixture of soulful, blues influenced tunes to beautifully poetic stories of love and loss. If there’s one thing you do for your musical experience this year, it’s to sign up to a dose of Shelley-May’s music. You won’t be disappointed by what this talented lady has to offer. Just be aware that in doing so you just might Fall In Love…..